There’s no excuse to be bored any night of the week when you live in L.A. Here’s our curated guide to some of the best of what’s going on around town. If you wish your favorite synth-heavy bands from the 1980s were still around, making new music today–maybe with an updated, modern edge–then Dream Machines is the keytar-swinging (yes, literally) band for you. There are also horns, dance moves, and everything you could want from 2018’s best Culture Club-era revivalists. Time for a tiki Tuesday! The legendary–but slightly out of the way–Tonga Hut tiki bar pops-up in the heart of Chinatown for one night only. 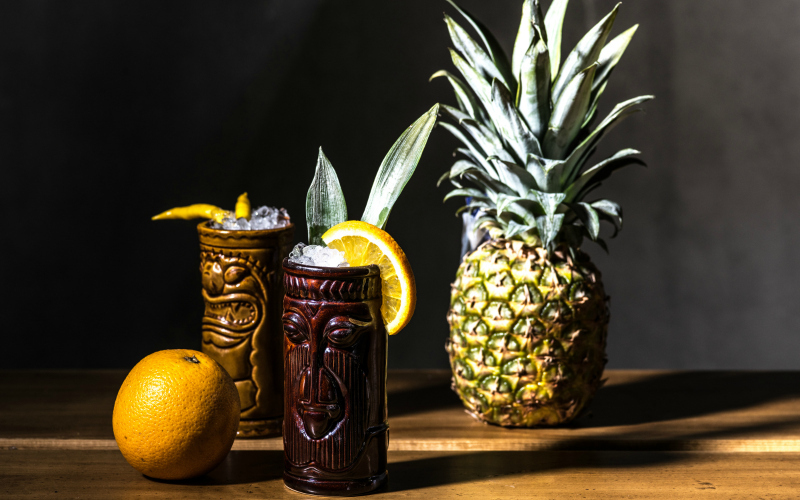 Bartenders Marie King and Ian Yarborough from Tonga Hut will be behind the stick at General Lee’s, serving all the vintage rum drinks of your dreams, while DJ Jonpaul Balak provides the soundtrack of classic exotica and surf. It’s an after-hours dance party at the Autry–and it’s all in celebration of fierce females and their allies. The all-Latina Chulita Vinyl Club spins vinyl records, Erika Ayón leads a spoken-word poetry performance in the gallery, and Self Help Graphics and Art Barrio’s Mobile Art Studio will be on hand to help attendees make their own art inspired by the Autry’s on-going exhibit, La Raza. Our own culture editor, Marielle Wakim, joins a star-studded panel conversation at the Wallis Annenberg Center for the Performing Arts. The discussion features Debbie Allen, Ben Johnson, Paul Crewes and other experts, exploring the dance scene in Los Angeles throughout the recent years, up to today’s surge in youthful, modern companies, opening dance performance up to a new generation. The buzzy Brooklyn rapper comes to L.A. hot off opening international concerts for Post Malone. Pitchfork called his most recent release “enchanting”–and it has logged more than 60 million streams since dropping less than two months ago. He’s joined by Tyla Yaweh for a night of hip hop you’ll want to catch before they get too big to play a club this size. Previous articleArtist Sara Chao Collects Souvenirs From a Life Spent in L.A.